"The Afghani Community in Hobart visited the LBT on 17th May 2015. More than 40 people arrived in a convoy of 11 cars on a frosty Sunday morning.These Tasmanians have a refugee or asylum seeker background. 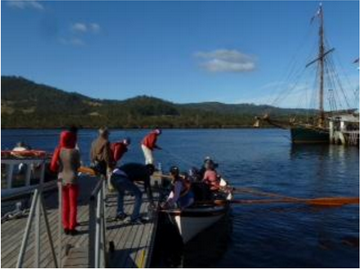 Many have been living in Hobart since 2009, and some are more recently arrived."